I was at a restaurant and had made my allergies very well known to the waiter and the staff. However, they didn’t take my allergy seriously and made all of my food on the same station that they had made their famous fish menu item. I had an anaphylactic reaction about a minute after having a tiny bite of what I thought to be a “safe” cucumber with tzatziki sauce. This was my first reaction since I had been diagnosed and I wasn’t sure when to use my epinephrine auto-injector and decided to wait because I thought mysymptoms were getting better. I told myself if I calmed down, breathed deep, and didn’t think about it, that I would feel better. I am so lucky and glad that I was with a close friend who drove me to the closest ER. She had actually tried to use my auto-injector on me, but didn’t know how to use it correctly. She, in the heat of the moment, forgot to remove the safety cap. And honestly, I don’t blame her. It was probably a terrifying moment for her as well. So that’s when I decided to wait out my symptoms. I now know that when in doubt, you use your epinephrine auto-injector. I learned that you should NOT wait out your symptoms. Since then, I have taught and continue to teach all of my friends and family how to use an auto-injector. The most important thing is that you educate yourself on the symptoms and treatments, and you educate your loved ones as well. Always carry your epinephrine. Always read labels. Never feel embarrassed or like you’re annoying someone when you ask to read a label, or you ask how they cooked something, or you ask how they cleaned their kitchen ware. Do not feel like you are burdening anyone, because it is your life and safety at hand.Know that you are not alone, also. There are always a tremendous amount of support and resources out there for you. 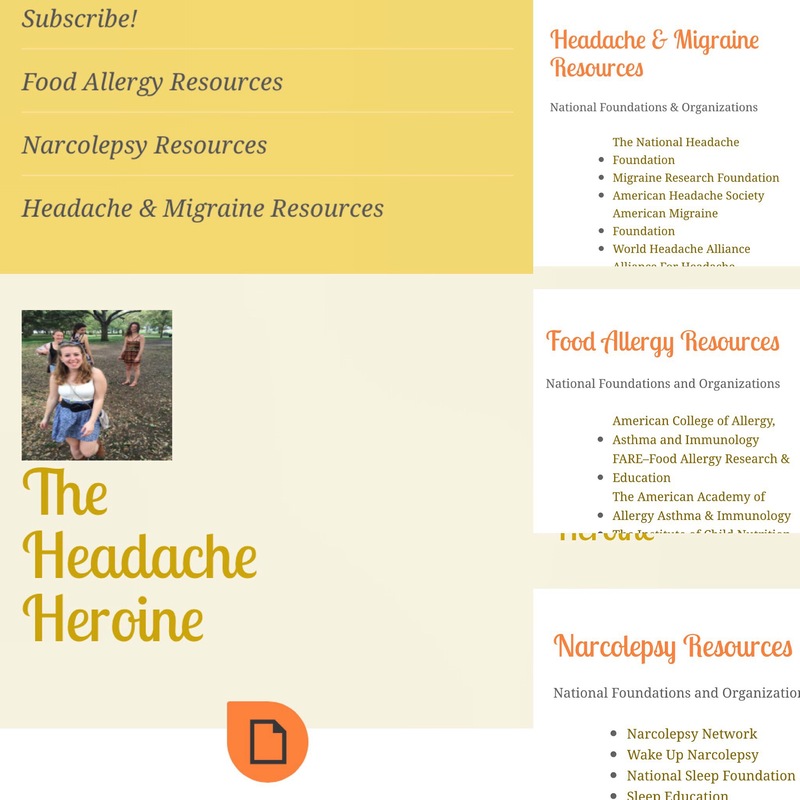 Recently I’ve added three new pages to my blog: resources pages for headaches/migraines, narcolepsy, and food allergies. I went through all the resources as I was choosing which were most beneficial to share (there’s a lot, because there’s so much helpful info out there!) and realized that I wasn’t even aware of half of the info/websites/etc that I shared. That means that there are so many resources for us spoonies to take advantage of: clinical trials, foundations and organizations, blogs, support groups, fact sheets, and so much more! 💻📋📝 I strongly urge you to visit some of these resources every week or so because there’s always new info for us to take advantage of. We need all the help we can get, might as well take advantage of the free help! A not-so-friendly reminder for anyone who lives with a chronic condition or a continuous hardship that often keeps them holed away inside: The world keeps spinning, the clock keeps ticking and the years keep flying by. This thought makes a continuous loop in my mind, driving me almost mad. Have you been driven mad by it before also? If you’re thinking to yourself “no I haven’t,” then please share with me your secret. I’m in a period of my life where I’ve been handed multiple bad hands all around the same time. Do I think I’m the only one in this position? Of course not. Am I grateful that my situation is not worse? Always. But do I still lose myself to an overpowering feeling of frustration and helplessness sometimes? If I said no, then I’d be lying to all of you as well as myself. Today I woke up with a headache that I knew was going to stick around for the rest of my Saturday. As my body and mind awakened, I couldn’t help but think”here we go again”–A thought I’m usually very capable of pushing away, making room for much more encouraging and positive thoughts to fuel my day. But I’m only human and we all have our moments. A day of pre-planned activities, of seeing family, of changing out of my sweats and leaving the house, all slipped from my fingers before I even had a chance to attempt to keep my grip on it. My bed was my companion today and my thoughts were that friend in the group who always shows up unwelcome and then sticks around until you show them the door. Most of the time, I give myself an hour or two before I kick myself into gear and start acting like my normal self again. But there was one thing my brain just couldn’t let go of today: The idea that I have wasted (and will continue to waste, as it’s looking right now) so much of my little time here doing nothing fun, nothing of significance and nothing that will make memories, due to my headaches tying my hands and my feet to my bedposts. I’ve spent so many mornings, afternoons and evenings wondering what other people are up to while the next episode of Friends automatically starts playing on my laptop. It leaves me feeling so full of resentment. It leaves me feeling like I have to play such a large game of catch up with the rest of my family and friends the next time I’m feeling up to getting out of bed. If you’re reading this and rolling your eyes thinking “Girl, lose the drama because you have it nowhere near as bad as other people” Then please, keep thinking it, because you’re absolutely right. I still have a functioning body, an intelligent (boastful, much?) mind, and all of life’s necessities at my fingertips. I don’t live in the hospital, I merely just make my friendly visits there. 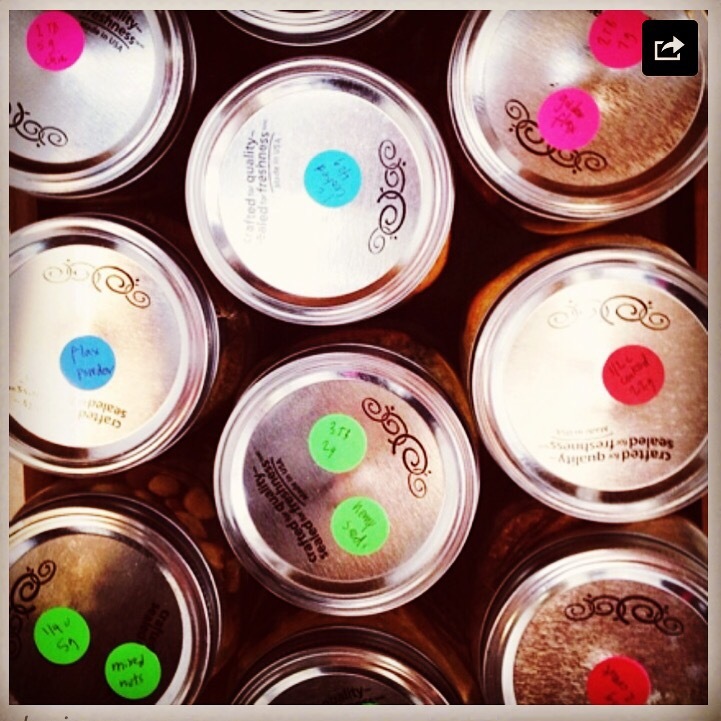 I take medicines to help me get along, but I would be able to survive without them. My life is wonderful in comparison to thousands of others. I’m incredibly lucky to be able to do so many every day activities on a pretty routine basis. So I apologize in advance if my venting offends anyone. My problems are so minute and I resent myself for thinking those thoughts of resentment and for sometimes adopting that “woe is me” mindset. It’s a terrible cycle to jump into. Grab a hold of the rails before you accidentally fall into it as well. I don’t enjoy sharing these thoughts with others, mainly due to the fact that I don’t want to seem ungrateful for what I’ve been blessed with in my life. But, why have this blog if I can’t write about what I am honestly experiencing, feeling and thinking? My purpose of starting this all was to reach others who might possibly be feeling something similar to what I am feeling. I’m sure other spoonies out there, and even other people who may be facing something in their lives that are keeping them from doing everyday things they hope they could be doing, know this feeling of losing time to something that so often takes control of their lives. I didn’t mean for this post to be a buzzkill, per se. It’s one of those days, though, where writing has been the only outlet that has helped start to set my mind right again. I wish I could practice what I preach more often and focus on the positive things every day of my life, but as many things are, it’s much easier said than done. A goal of mine now, after having spent the day angry about the lost time in my life, is to spend every waking moment that I feel healthy enough to be doing something other than lying in my bed, doing something new, exciting, adventurous, fulfilling, thoughtful, and memorable. There’s no real way to know what tomorrow will bring. But I do know that I’m going to take full advantage of every moment that I can. I don’t want to be afraid to hear the ever-present clicking sound of the minute hand ticking away on that clock on the wall. What would kind of journey would it be if there were only straight paths? Sometimes we don’t expect the sharp curves and get thrown off balance. That’s a little how I feel right now. As I posted earlier today, I’m on a progressive track to finding some answers for my headaches. Yet, it seems as one good thing comes along, life throws yet another curve ball my way. The past two weekends I’ve ended up in the ER. The first time was due to a completely careless and negligent restaurant that cross contaminated my food with fish (I have a severe seafood allergy) which sent me to the ER. They didn’t take my allergy serious enough, even though every allergy stated by a patron at a restaurant should be taken very seriously. Since then, I’ve been paranoid and very anxious while eating. The adderall side effect of heightened anxiety doesn’t help that. This past weekend, though, I ended up in the ER with what was either another allergic reaction or a severe panic attack. However, I didn’t risk taking chances to find out which it was and used my epipen (well rather I made my boyfriend do it for me, which I’m sure was even more nerve wracking than it would’ve been had I done it myself.) Spent most of the night in the ER getting poked, prodded, and full of anxiety. However, I look on to the next step which includes: seeking an allergist to really clarify the severity and sensitivity of my allergy, finding ways to deal with my anxiety, and trekking on down the winding road that is my journey. These past two weekends defeated me, but it is only temporary. We will be get hit by life’s curve balls and it’ll feel like we won’t be able to get back up to the plate again. However, we have to get back up to the plate ready to swing. These single temporary defeats are not our final defeat. We have to continue on prepared for the next bend in the road, knowing that there is something much greater waiting for us at the end of it.